Last week a number of bloggers "confirmed" some forthcoming changes to the Barclaycard Arrival+ MasterCard. The trouble is, they confirmed different things! Amol at Travel Codex wrote: "The first changes for new cardmembers should go into effect sometime in September, although it may vary for different people depending on when their cardmember year begins." Matt Zuzolo at Bankrate wrote: "These changes will go into effect in November for cardholders who got the card before Sept. 30, 2014, and in August 2016 for cardholders who got the card on or after Oct. 1, 2014." Summer Hull at Mommy Points wrote: "For those interested in applying for either version of the card, Barclaycard is targeted mid-July for a relaunch of the products for new customers. At that time the 5% rebate on travel purchases will be in place, but it won’t expand to all categories until November (reportedly for tech related issues)." As a reminder, I don't have any third-party credit card affiliate links anywhere on this site (although I do have a couple of personal referral links on my Support the Site! page). I've had the annual fee waived on both of my account anniversaries to date. 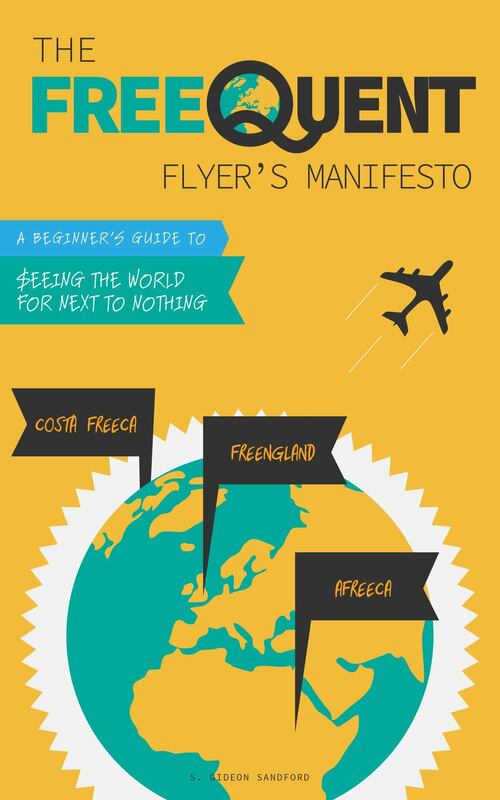 and travel redemptions will start at $100 (10,000 Arrival+ miles). The first change means that the card is, at best, a 2.11% cash back card, while the second change means that the $89 annual fee will no longer be eligible for rebate. In other words, if you can't get Barclaycard to waive the annual fee, you'll actually have to pay it. That raises the breakeven point of manufactured spend on the card from $40,050 to $80,909 — that's the point at which you're making any profit over a straight 2% cash back card, if and only if you actually pay the $89 annual fee (if you have the annual fee waived, then the card is still strictly superior to a 2% cash back card like the Fidelity Investment Rewards American Express or Citi Double Cash). 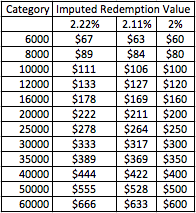 I use the term "imputed redemption values" to designate the amount you have to save on hotel points redemptions in order to justify earning hotel points rather than cash back on your most-profitable cashback-earning credit card. So far, I've been using 2.22% cash back as my benchmark, and you can find those imputed redemption values here, which will remain valid for existing Arrival+ cardholders, for now. But the upcoming devaluation of the Arrival+ MasterCard means those values will not be relevant to new cardholders, so I've recalculated my imputed redemption values for the hotel chains I follow using both the new 2.11% maximum earning of the Arrival+ MasterCard and a straightforward 2% cash back earning rate, like that of the two cards mentioned above. 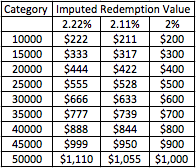 I've also included the 2.22% earning for the benefit of existing Arrival+ cardholders. This calculation has been additionally updated to reflect the end of the last-night-free benefit for co-branded US Bank cardholders. This is the first time I've included Choice Privileges, the loyalty program of the Choice Hotels chain, in my hotel analyses. The administration of this program appears to me to be a complete disaster, but they have a remarkable number of hotels all over the world and what appear to me to be fairly generous imputed redemption values. Those are obviously very competitive imputed redemption values for top-tier properties. The only trouble is that it's wildly unclear to me whether Choice Hotels actually has any top-tier properties. For example, the excellently-located Comfort Inn Central Park West costs just 25,000 Choice Privileges points. But a paid stay in July (Choice Hotels only allows award bookings within 30 days for non-elite members) costs just $209 — well below the $278 imputed redemption value for such a stay.